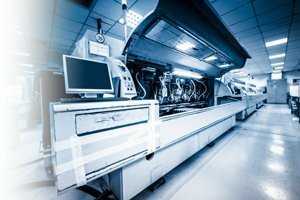 Today’s high density designs limit the amount of test coverage obtainable through bed-of-nails testing, driving the need for JTAG/boundary-scan based tests to ensure a high level of discovery and diagnosis of manufacturing faults. Whether integrating boundary-scan with an in-circuit-test system using Corelis’ powerful API or operating a standalone benchtop test station, Corelis ScanExpress products offer immense value and high return on investment. Best of all, Corelis tools can be used throughout the product life-cycle, providing additional value and allowing test engineers to re-use and adapt the same boundary-scan tests for all test phases. Since Corelis boundary-scan and JTAG embedded tools run directly on the hardware, system tests can be deployed before firmware and software are even ready, providing confidence in the hardware and ensuring a solid base for software development. For added value, Corelis ScanExpress tools are designed to be used throughout the product life-cycle; the same tests used for product development and debug to be migrated and re-used for prototype testing, manufacturing, and even field repair. ScanExpress Boundary-scan Tools – Whether used standalone or integrated into a manufacturing test system, ScanExpress tools are the perfect way to add boundary-scan to any test process. TestGenie – Want to add boundary-scan to your manufacturing test process but don’t have the resources or time available for test development? Let Corelis do the work for you.